High Court duty-bound to decide question regarding validity, genuineness and enforceability of MoU/agreement during Section 11 Arbitration Act proceedings, held the Court. 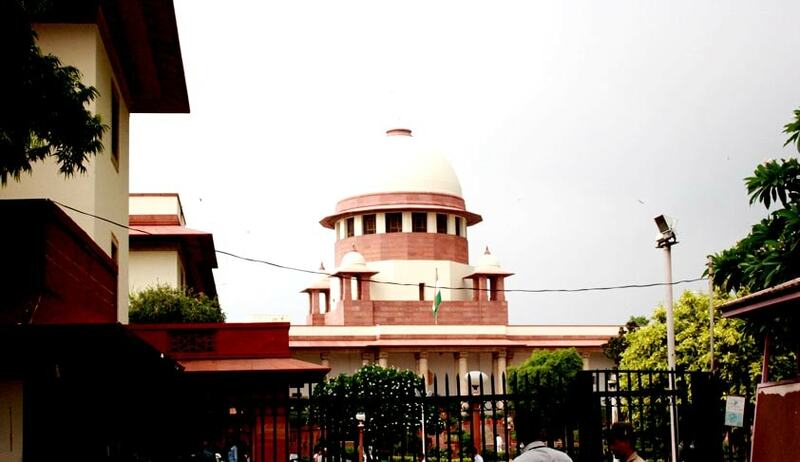 The Supreme Court in Velugubanti Hari Babu vs. Parvathini Narasimha Rao has reiterated that, where the question arises before the High Court in Section 11 Arbitration Act proceedings as to whether the agreement/MoU is a valid and genuine document and whether it is enforceable or not, it is the duty of the High Court to first decide such questions. The Bench comprising of Justices J. Chelameswar and Abhay Manohar Sapre set aside a High Court order which had allowed an application by holding that the legality and validity of the MoU including arbitration agreement can be examined by the Arbitrator on taking evidence and accordingly appointed a retired High Court Judge as the sole arbitrator to adjudicate all the disputes raised by the parties including to decide the question regarding legality and genuineness of MoU. Referring to decisions by the Apex Court in SBP & Co. vs. Patel Engg. Ltd., (2005) 8 SCC 618, National Insurance Co. Ltd. Vs. BogharaPolyfab (P) Ltd., (2009) 1 SCC 267 and Bharat RasiklalAshra vs. GautamRasiklalAshra& Anr., (2012) 2 SCC 144, the court said that, where the question arises before the High Court in Section 11 proceedings as to whether the agreement/MoU is a valid and genuine document and whether it is enforceable or not, it is the duty of the High Court to first decide such questions, and if it is held to be a valid and genuine document then whether it is binding on the parties and depending upon the outcome of the findings on such question, appropriate orders as required under Sections 11(5) and (6) of the Act has to be passed. The Court further observed: “we have no hesitation in setting aside the direction which directs the arbitrator to decide the question of legality and validity of the agreement/(MoU). In our considered opinion, such directions issued by the High Court are plainly against the law laid down by this Court in three decisions quoted above. Indeed, the High Court ought to have decided the questions itself and recoded a finding as to whether the MoU dated 27.05.2013 is a valid and genuine document or it is a forged and fabricated document and then depending upon the findings, appropriate directions, if necessary, should have been passed for disposal of the application finally. Unfortunately, it was not done”.